Speakers: Parisa Karaahmet (Discussion Leader), Charles Foster, Enrique Gonzalez, William Gresser, Nima Korpivaara, Dan Lundy, John Marcus Payne, Michael Petrucelli, Nenad Radu, John Roth, Dan Schwarz, Reid Thomas, and Clem Turner. This event will be beneficial to anyone involved in EB-5. The event day will bring together experts and practitioners on all sides of the EB-5 equation. After each panel, guests will have the opportunity to discuss EB-5 issues among themselves and with speakers. This is a CLE workshop, however it is designed to be materially useful to Regional Center executives and real estate developers also, in addition to immigration attorneys. E3 Investment Group structures offerings that allow foreign investors the opportunity to receive green cards under the U.S. Government's EB-5 program. They have a unique expertise in creating opportunities that do not involve regional centers, but offer all of the benefits of a scaled organization without the negatives. They call this Scalable-Direct. In essence, they are the Non-Regional Center. For information on exclusive sponsorship opportunities for regional centers, contact us at 212-545-0864 and Eb5@ilw.com. Parisa Karaahmet (DL) is a partner at Fragomen and leads a team specializing in individual, complex and corporate immigration matters. She has presented at Pace University’s Judicial Institute, guest lectured at Cardozo Law School, and speaks at national conferences. She chairs Practicing Law Institute’s annual conference “Defending Removal Proceedings” and co-chairs the American Bar Association Immigration Litigation Committee. Parisa previously served as an Assistant District Counsel and Acting Deputy District Counsel for the Immigration and Naturalization Service, New York District Office. Her areas of specialty include advising clients with respect to criminal and other inadmissibility grounds, employer sanctions, EB-5, E-verify and I-9 compliance. On the corporate compliance advisory group side, Parisa represents a variety of large, mid-size and smaller companies in their immigration matters, including those in the financial services, medical, pharmaceutical, education and technology sectors. Charles Foster is Co-Chairman of FosterQuan, LLP, one o f the largest global immigration law firms. He is also the honorary Consul General of the Kingdom of Thailand. A native of Galveston, Texas, Mr. Foster received his Bachelors Degree from the University of Texas and his Juris Doctorate from the University of Texas School of Law. Mr. Foster serves as the founding Chairman of the State Bar of Texas Immigration and Nationality Law Section and a Board member and is past national President of the American Immigration Lawyers Association, Chairman of the American Bar Association Coordinating Committee on Immigration law and Vice Chairman of the Houston Bar Foundation. During the 2000 Presidential Campaign, Mr. Foster served as the principal advisor to President Bush on U.S. immigration policy and was an advisor on immigration policy issues to President Bush in the 2004 campaign and President Barack Obama in the 2008 campaign. He is Chairman of Americans for Immigration Reform, a 501(c)(3) affiliate of the Greater Houston Partnership and the GHP's Immigration Task Force. He is Chairman of the Asia Society-Texas Center and past Chairman of the Houston International Festival and past President of the Houston Forum and the Houston Club. He is a Director of and serves on the Executive Committee of the Greater Houston Partnership and past Chairman of its Economic Development and World Trade Divisions. He is a recipient of 4 Royal decorations from His Majesty the King of Thailand; he received the 2000 Distinguished Friends of China Award; the 1996 International Service Award of the Houston Junior Chamber of Commerce; was the 1998 Honoree of the American Immigration Law Foundation for Excellence in the Practice of Immigration Law; and the recipient of the 2007 American Jewish Committee Institute of Human Relations Award. He was designated a "Texas Super Lawyer" by Texas Monthly magazine, the "Top Notch Lawyer in Immigration" in the Texas Lawyer "Go To Lawyers Guide" each year published, and the #1 Ranked Immigration Lawyer in Texas by Chambers USA. Enrique Gonzalez is the Managing Partner of Fragomen’s Florida office. Enrique’s practice is broad based and includes counseling companies, institutions and individuals. He has significant experience related to managing the immigration compliance programs for companies and institutions engaged in a wide range of activities/industries including: agriculture, education/research, energy, entertainment, food service, healthcare, hospitality and technology. He also provides legal counsel to entrepreneurs and high net-worth individuals regarding investment based immigration (including the EB-5 Program). William ("Bill") Gresser is the President and founder of EB-5 New York State, LLC. 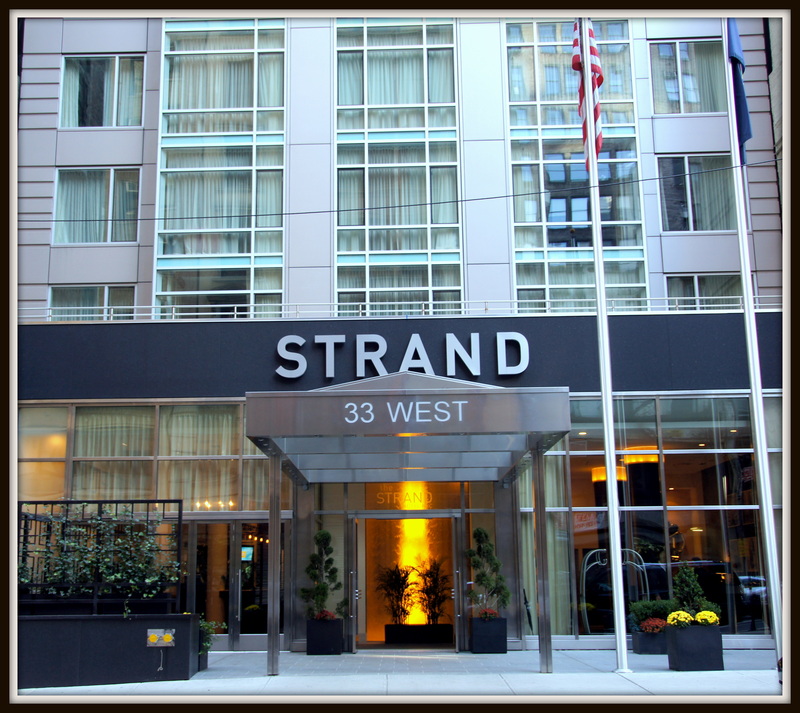 The Company was formed in 2007 and was designated as an EB-5 Regional Center by the US Citizenship & Immigration Services in 2009. EB-5 New York State has successfully completed job-creating EB-5 transactions in New York State and is one of a select group of regional centers which have completed EB-5 investment projects through the US government's entire EB-5 process (through the I-829 and certification of the new US jobs created). In addition, Mr. Gresser manages a regional center outside of New York and is actively engaged in EB-5 projects throughout the US. Mr. Gresser is a member of the Board of Directors of the Invest in USA industry association (IIUSA) and is a regular speaker on the EB-5 program. Mr. Gresser has a Bachelor of Arts, MBA and JD degrees from Georgetown University. Nima Korpivaara is an Associate at Fragomen’s Irvine office. He handles immigrant visas for large information technology companies and evaluates, prepares, and files EB-5 investor applications. Prior to joining Fragomen, Nima worked as in-house immigration counsel for a large information technology company. Daniel B. Lundy is an Associate in the Firm's Philadelphia office and a member of the Firm's EB-5 Team. Mr. Lundy has successfully represented numerous immigrant investors in their EB-5 petitions and applications, including investors seeking permanent residence through investment in their own businesses and investors seeking permanent residence through investments into USCIS approved Regional Centers. Mr. Lundy also represents developers and others who seek to use foreign investment funds under the EB-5 program to fund their projects, either through the formation of a Regional Center or by joining with an existing Regional Center. Mr. Lundy works with various securities lawyers, economists, business plan writers and other professionals in the preparation and filing of Regional Center designation and Regional Center amendment applications. Mr. Lundy is experienced in reviewing Regional Center and project business plans, economic reports, securities offering documents, and corporate documents for compliance with the EB-5 program requirements, and in consulting and advising clients on the specific immigration requirements of the EB-5 program. Mr. Lundy is admitted to the bar in the State of New York, the U.S. Courts of Appeals for the First, Second, Third, Fourth, Fifth, Seventh and Eleventh Circuits, and the U.S. District Courts for the Southern and Eastern Districts of New York. 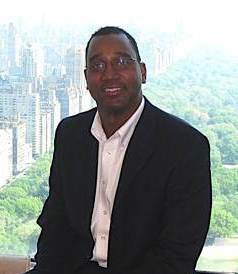 Mr. Lundy is a graduate of Hunter College (B.A., 2000) and Fordham University School of Law (J.D. 2006). He is a member of the New York County Lawyer's Association and American Immigration Lawyers Association (AILA). John Marcus Payne is a principal at South Atlantic Regional Center, which is a Federally approved Regional Center headquartered in Palm Beach County, Florida. Michael Petrucelli is a principal at US Freedom Capital and served as Acting Director of US Citizenship and Immigration Services (USCIS) after previously working for two years as Deputy Director. Mr. Petrucelli previous served as Senior Vice President for Operations and Chief of Staff of the Export-Import Bank of the United States. He has also worked on economic and business issues at the Federal Communications Commission (FCC) and has extensive experience promoting US-Asia trade relations, serving as Executive Director of the US-Thailand Business Council, and as Director for Thailand, Burma and Financial Services at the US-ASEAN Business Council. Nenad Radu works in deal origination at Hussar & Co. Mr. Radu, a Serbian national by birth, brings together a decades worth of sales experience in the emerging markets and with his sales and IT background is responsible for utilizing technology and social media in order to originate pool of talents and prospective clients, as well as developing internal infrastructure. Prior to Hussar & Co. Mr. Radu headed up deal origination for the European desk at Nova Capital Partners in New York. He has deep experience in the region of emerging Europe and received his degree in Computer Science from the University of Technology in Serbia. Mr. Radu is fluent in English, Serbian, and Croatian. John Roth is Managing Attorney at the Roth Immigration Law Firm. He is a member of the New York State Bar Association. In addition to being an immigration attorney, he has an extensive business background, including an M.B.A. For the Wharton School of Finance, a Series 7 and a Series 63 license, and he is a registered representative of a Broker-Dealer firm. His firm, EB-5 Analytics, provides due diligence analyses of EB-5 regional center projects for EB-5 Pilot Program immigrant investors. Dan Schwarz joined Fragomen in 2005 and became an Associate in 2006. He handles all types of U.S. immigration, including complex matters associated with criminal issues and prior immigration violations. Dan practices in the fields of corporate, investor (E-2 and EB-5) and family immigration law, representing large and small corporate clients within a variety of industries, ranging from finance to technology, sports, fashion, academic institutions and the arts. This includes temporary and short-term work visas, business visas, permanent residence (employment-based and family-based) and naturalization. 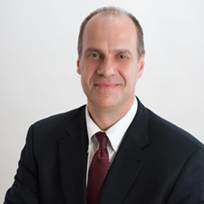 Reid Thomas is the Executive Vice President at NES Financial, leading the company's sales and marketing organization. He brings over 20 years of executive management experience at both private and public companies, including Laszlo Systems, Octel Communications, and VINA Technologies. During his time with NES Financial, Mr. Thomas has been instrumental in the rapid growth of the company's EB-5 business, making NES Financial the leader in EB-5 by providing innovative solutions specifically built for the industry. Mr. Thomas' active participation in the EB-5 community has made him a frequent and sought after speaker at events and conferences across the country. He has written numerous articles, blogs, and white papers on the topics of escrow and fund administration, solidifying his position as an industry expert. Clem Turner is a shareholder and the Managing Attorney of the New York Office of Homeier & Law, PC. Clem practices in the areas of general corporate, public and private securities law and business transactional law. With over15 years experience in the corporate and business transactional fields, both as in-house corporate counsel and with private law firms, Clem brings a deep level of legal knowledge and expertise to the EB-5 industry. Clem has counseled numerous corporations and Regional Centers raising capital through the EB-5 Program on matters of structuring, strategy, securities law and corporate law. He has handled numerous EB-5 transactions in the hotel and accommodations, casino, restaurant, senior and medical facilities, manufacturing, technology and other industries. His firm, Homeier & Law has counseled clients in over one hundred fifty (150) EB-5 transactions, with an aggregate deal value well over $1.5 billion. Clem has written several published articles and routinely lectures at EB5 events throughout the U.S., including seminars providing CLE credit to legal attendees. Clem graduated from Princeton University with a B.A. in Psychology. He received his legal degree from Georgetown University Law School, where he served as Executive Editor of the American Criminal Law Review. Mr. Turner is admitted to practice in New York and California. For detailed instructions, please see here. Material included in the registration price is The EB-5 Book ($199 value) and Forming and Operating an EB-5 Regional Center: A Guide for Developers and Business Innovators ($199 Value). "Great "Intro to EB-5" workshop. Get to hear from all parts of the EB-5 Industry." "I think this would be useful to all people seeking investors from other countries." "Coming in with no prior legal, let alone EB-5, experience, I found the lectures very logically formed & easily accessible." "An essential conference to stay on the cutting edge of EB-5." "I like the format/organization of the topics presented during the workshop." Very positive and structured with an emphasis on cutting edge information." "It teaches everything about EB-5 in a day. It was worth travelling from India to attend this workshop."